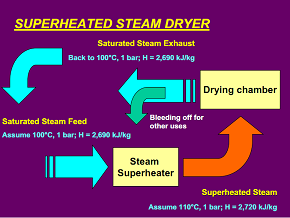 See chapter on Superheated Steam Drying In handbook of Industrial Drying. Ed. A.S.
- Special issues on SHSD of Drying Technology journal, 2007. - Low, near-atmopsheric or high pressure operation possible.